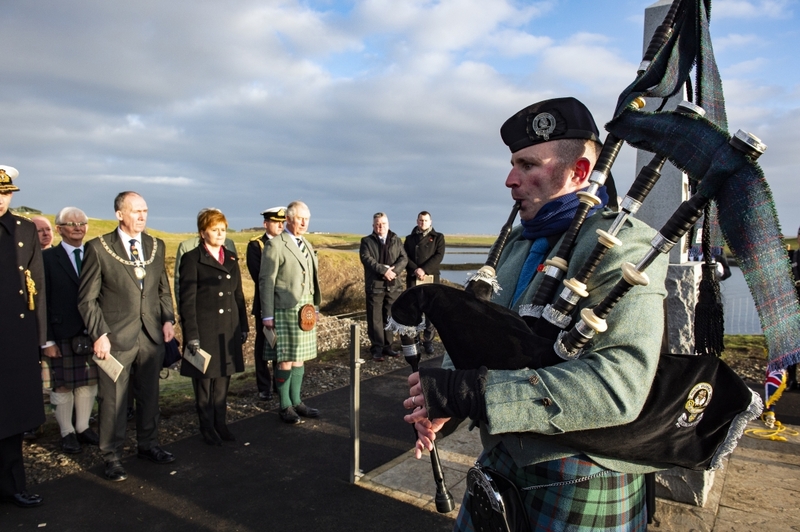 The Prince Charles, Lord of the Isles (as The Prince of Wales is known when visiting the Western Isles of Scotland), today attended a Centenary Service on the Isle of Lewis to commemorate the loss of HMY Iolaire. The Admiralty yacht HMY Iolaire sank on the approach to Stornoway Harbour on 1 January 1919, with the loss of 201 Islanders returning home following the end of World War One. The ship hit ‘The Beasts of Holm’ rocks, around 20 yards from Stornoway’s coastline, as it brought men home. Of around 300 on board, over 200 men from Lewis and Harris died along with the crew. The Prince Charles, Lord of the Isles (as The Prince of Wales is known when visiting the Western Isles of Scotland), today attended a Centenary Service on the Isle of Lewis to commemorate the loss of HMY Iolaire. His Royal Highness laid a wreath and read a scripture at the service, which remembered the 201 people who died when the Admiralty yacht HMY Iolaire sank on the approach to Stornoway Harbour on 1 January 1919. They were returning home following the end of WW1. Of those known to have died, 174 came from the Isle of Lewis and seven from the Isle of Harris. His Royal Highness laid a wreath and read a scripture at the service before unveiling a new sculpture to commemorate the Iolaire. The Lord of the Isles and First Minister Nicola Sturgeon met Iolaire descendants and the 29-strong Royal Naval Guard. Descendants included Anne Frater whose great grandfather perished and Malcolm Macdonald whose grandfather died in the disaster.